Text engraving is a very popular and great way to create a unique gift for someone special. 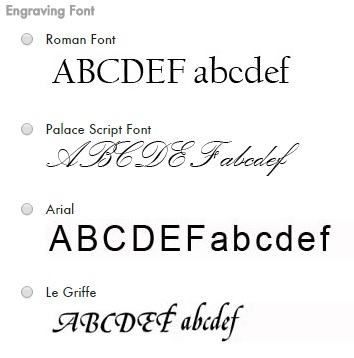 We have a number of different techniques to produce text engraving, depending on the individual requirements, including two very talented hand engravers with their artistic eye and fine attention to detail, they can create your gift to your exact requirements. Orders can simply and quickly be placed online by going to the page of the product which you would like engraved and pressing the 'add text engraving' button on the right hand side of the page. You will then be able to see a visualisation of how your product will look with the engraving added. Simply click 'Add To Basket' and continue with your shopping. Due to the nature of some of our products, engraving may differ from the generated visualisation as these will be engraved by hand by our professional engraver. Should you wish to have something engraved that is not available on the product page you can alternatively email your enquiry to websales@dartington.co.uk or if you wish to discuss your requirements first, please call our websales team on 01805 626 221. If your order is placed by 11.30am then your order will normally be delivered the next business day, with free UK delivery over £49.